A powerful tornado that ripped through the Cuban capital Havana on Sunday night has left three people dead and 172 injured. With wind speeds of up to 100km/h the tornado, the first to hit the city in decades, uprooted trees, damaged buildings, cut power in poor areas and caused coastal flooding with heavy rains. 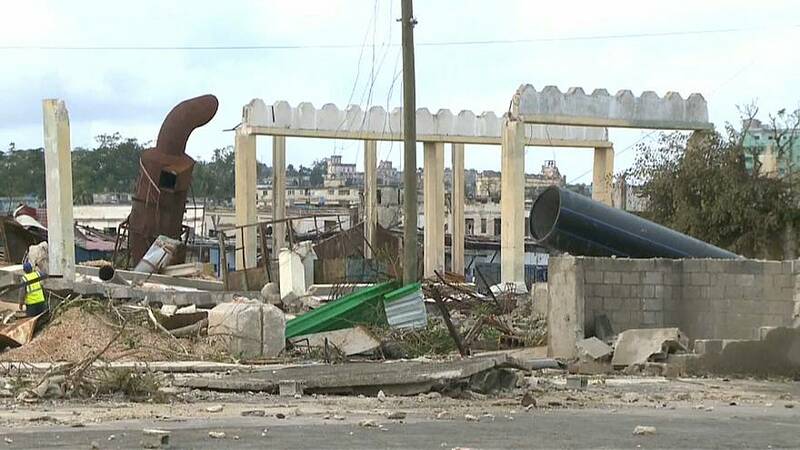 Regla, the worst-hit borough in Havana, was in a mess and almost all the buildings were damaged to some degree. Locals were seen clearing debris and packing personal belongings to seek refuge with their relatives and friends.